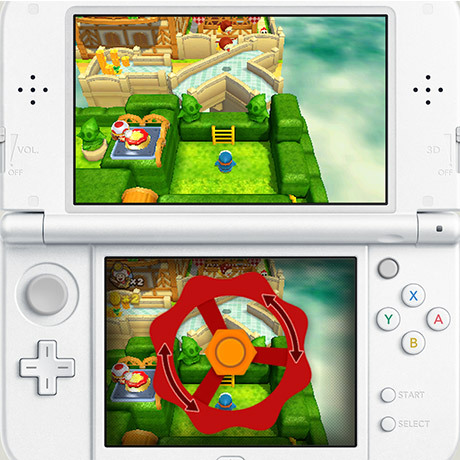 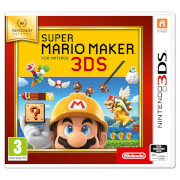 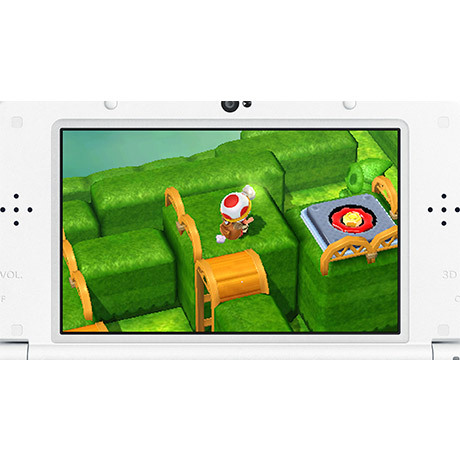 Bringing additional levels themed around Super Mario Odyssey and utilising the Nintendo 3DS touchscreen for an interactive adventure! 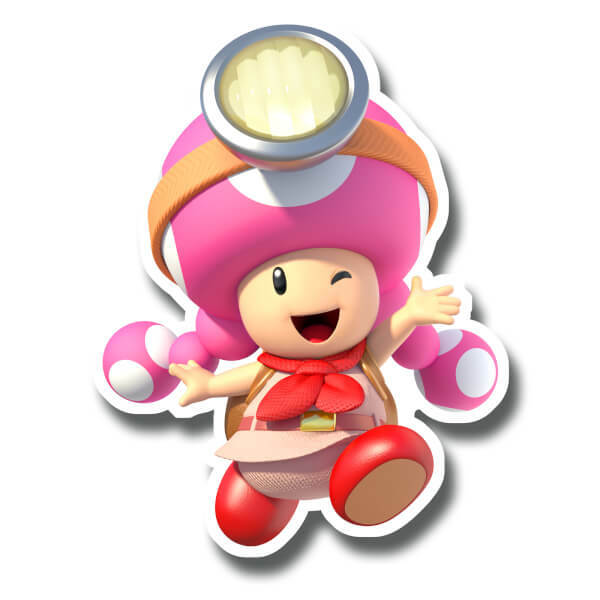 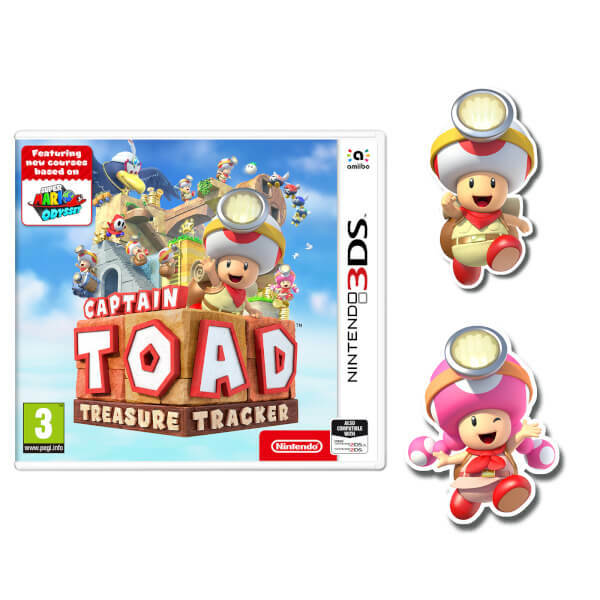 This game bundle comes with both Captain Toad & Toadette Pin Badges! 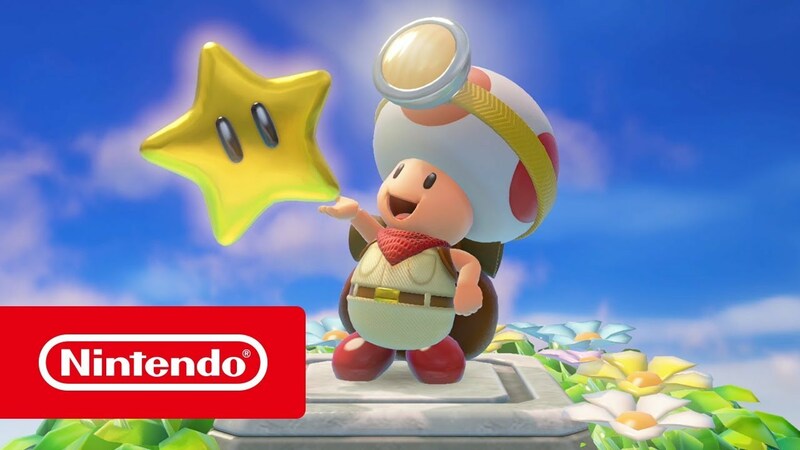 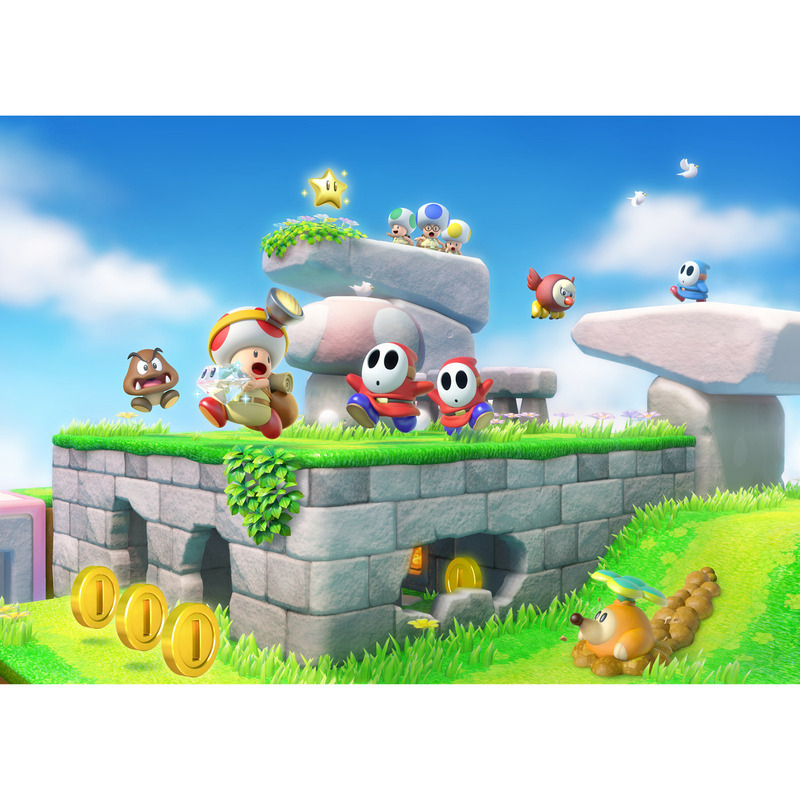 The intrepid Captain Toad sets off on his own adventure through a wide variety of tricky, enemy-infested, maze-like stages to find hidden gems and nab exlusive gold stars. 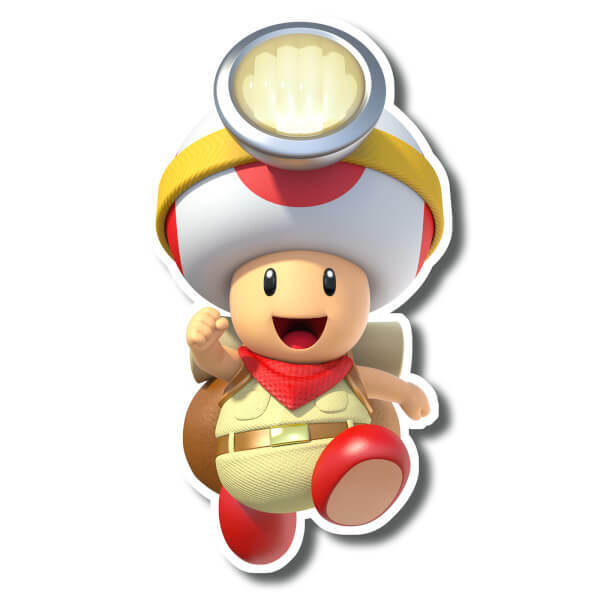 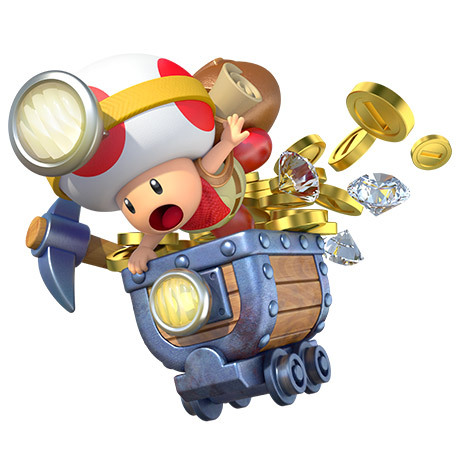 Equipped with nothing more than a neck scarf, backpack and over-sized head lamp, Captain Toad finds hidden gems, coins and power-ups on his way to the gold star at the end of each tricky, trap-filled stage. 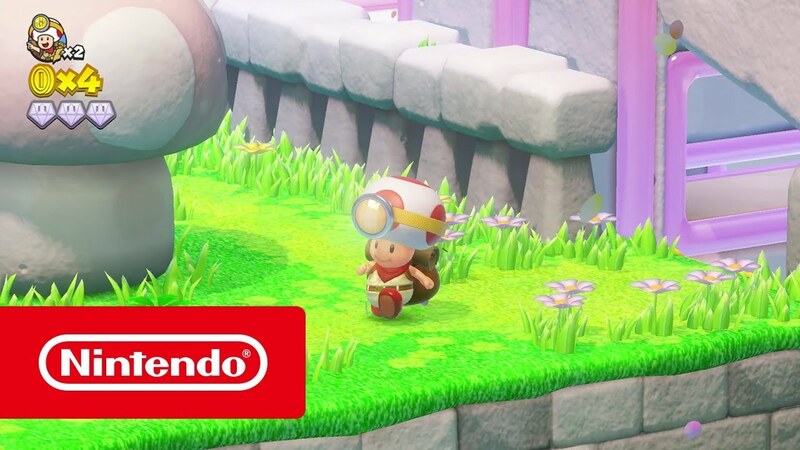 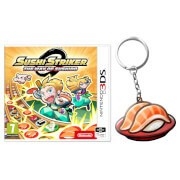 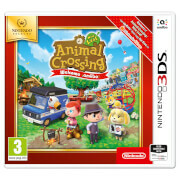 Coming to Nintendo Switch and Nintendo 3DS on July 13th! 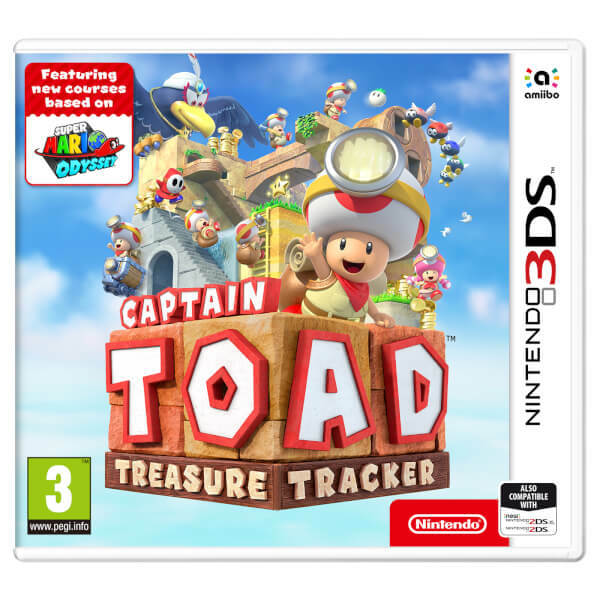 Explore a variety of tricky sandbox-style levels in Captain Toad: Treasure Tracker, coming to Nintendo Switch and Nintendo 3DS on July 13th!